You guys know I can't resist writing about a beautiful puppy, just like you can't resist reading about them. This evening I met Alfie for the very first time. He is the new "son" of a dear friend of mine and she kindly allowed me to share a lovely London evening with them both. It was an instant puppy fix. 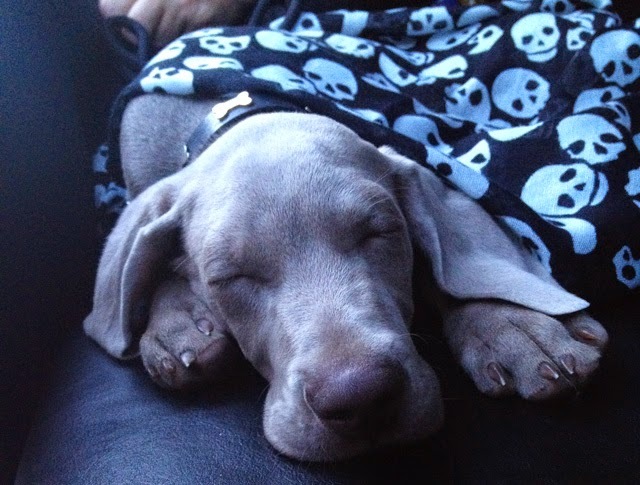 In fact, it was exactly what a needed - a little snuggle from a perfect puppy. 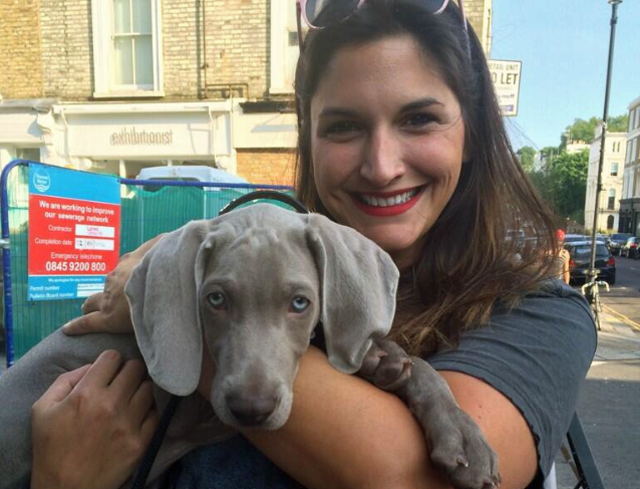 Alfie is a 12 week old Weimaraner and just about the most well behaved young gentleman I've yet to come across. Sorry sweet Boomer, but Alfie truly is a puppy that could teach all puppies a thing or two about manners. 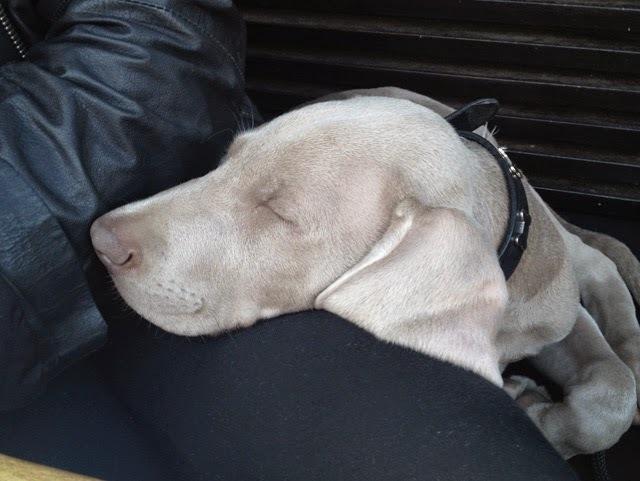 We sat for wine and snacks outside E&O in Notting Hill and were constantly approached by onlookers who wanted a snuggle of their own. I swear we could've been sitting with Kate Moss and not seen this much attention. His big blue eyes put Frank Sinatra to shame and those goofy oversized feet drew more sidewalk envy than the latest pair of Louboutins. Essentially, we learned that a puppy is a universal language of love. 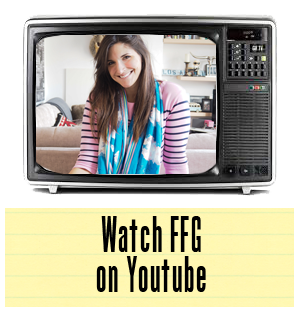 Looks like FFG might need to invest in another. Watch this space. 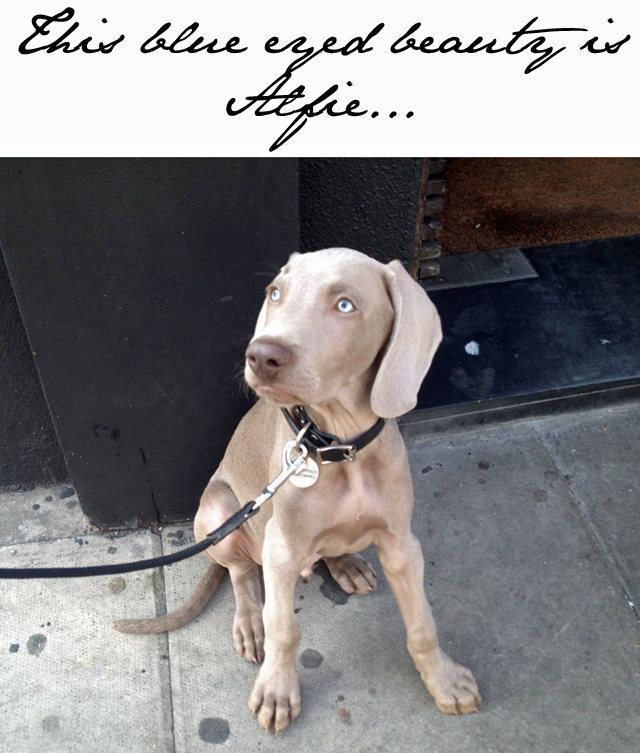 And in the meantime, keep an eye out for a devastatingly gorgeous blonde walking Alfie through Portobello Road. He's friendly and ready for kisses.